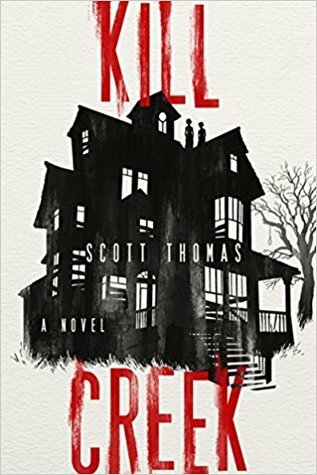 Beware, you may not sleep well after reading Kill Creek! Kill Creek begins with four horror novelists agreeing to a live-streamed interview in a long abandoned haunted house in Kill Creek, Kansas. The interviews are held on Halloween night and the novelists stay overnight within the house. All the novelists have different styles from a Stephen King-type horror veteran to a R.L. Stine-type Young Adult horror novelist. To say much more about the plot would spoil it. However, the aftermath of the interview is the best part of this excellent book. Kill Creek is definitely not for the faint-of-heart. There is a lot of violence. However, the story is very innovative. It is clear that the author has a love of all things horror. There is even a section that echoes a scene in the movie, Murder by Death. The book is both intelligent atmospheric horror and plain scary. Think of the first Saw movie. I finished reading Kill Creek at night on my Kindle with all the lights off and no one else awake in the house. I couldn’t fall asleep until dawn! However, I also just couldn’t stop reading! I love the insertion of a mystery within the horror genre. Kill Creek is highly recommended. 5 stars! Thanks to the publisher, Inkshares, and NetGalley for an advanced review copy. A former Pinkerton detective, MacGregor, searches for a known criminal in a Western town infected with evil. Set in 1890, the villainous gangs in this graphic novel are extremely original paranormal creatures. Their originality is the best part of this book. The other characters are western movie stereotypes like the damsel in distress, the old doc and the crooked richest man in town. The plot is a standard western trope too with the usual villainous gangs replaced with monsters. There is also an off-hand reference to steampunk and a sub-plot regarding slavery, which seemed to be afterthoughts. 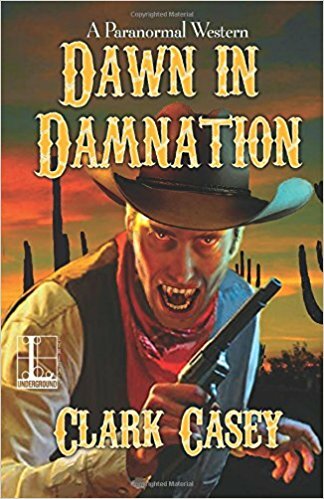 I love the idea of a western paranormal mashup. It makes sense that an old mine might house evil. The plot is good if somewhat derivative. However, the artwork is murky and it is frequently difficult to tell what is happening. Many of the panels use the exact same color for the foreground and the background with only a thin line separating the two. Also, the shadowing is done using thick cross-hatching, while the outlines are using thin lines that decreases the clarity in many panels. The original online comic won a Harvey award and didn’t have this clarity issue. Hopefully, that will be the way it will appear in the final released version. 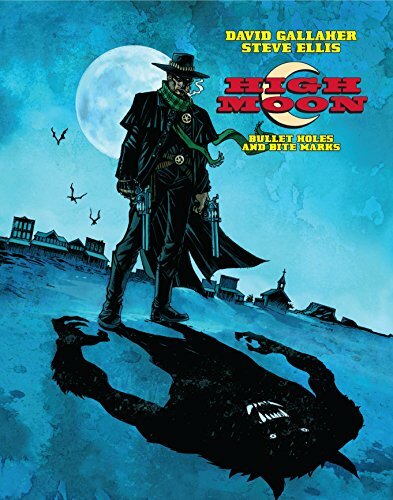 The real reason to read High Moon #1 and the next volume due out in May 2018 is to prepare for the all-new volume 3. The original web series ended with a cliffhanger about seven years ago. Fans of the original series and others that want a good quick scary read for Halloween will be interested in this book. However, others should get a free Kindle sample or view the book in person to make sure the artwork issues have been cleared up before ordering a copy. 3 stars. Thanks to the publisher, Papercutz, and NetGalley for an advanced review copy. A non-stop roller-coaster of a read! Subhuman begins by showing the seemingly disparate specialties of five scientists. Dr. Cade Evans is an archaeologist, who has just discovered a mass grave underneath an existing excavated Egyptian tomb. Within it, Evans finds a mass of animal and human bodies, one with an abnormally large skull. In Nigeria, forensic anthropologist Dr. Jade Liang studies the corpses from a recent massacre to obtain evidence for the UN International Criminal Court. Within the piles of the dead, she sees a young deceased girl with an unusually outsized head. Marvin Roche studies crop circles in the English countryside after an earlier career as a cryptanalyst at the US National Security Agency. Kelly Nolan predicts an earthquake in Oregon by reviewing sub-vocal sounds in the earth’s crust. Anya Fleming exhumes a big skulled man in Russia. All five agree to work for Richards, an enigmatic venture capitalist, who has set up a state-of-art base in Antarctica. Subhuman is a rollicking read that is hard to stop reading. The first half uses existing pop culture alien theories, Nazi Germany myths, and real science to describe what Richards is researching at the base on Antarctica. The author does an excellent jobs merging these divergent sources into a coherent plot. The second half will seem familiar to viewers of some famous 1980s horror films. Still the novel is a compulsive page-turner anyway. 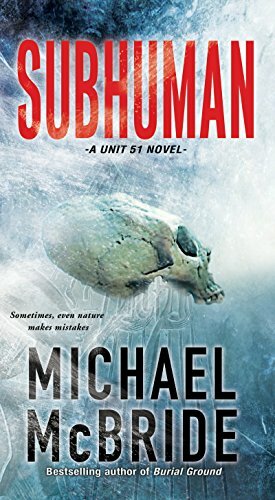 Subhuman is recommended for thriller, hard science fiction and horror readers. I can’t wait for this book to be made into a movie! 4 stars. Thanks to the publisher, Kensington Books, and netgalley for an advanced review copy. Intriguing look at modern human trafficking victims, their abusers and customers. Hidden in Plain Sight addresses the many ways to exploit humans to make money. It includes those forced into prostitution, paid little for domestic work or to work on produce and cocoa farms, and coerced into solicitation crews. Sexual victims are typically not kidnapped but instead coerced by the trafficker (aka pimp) to join his stable. The pimp provides for basic human needs for the victim. If the victim is poor, the pimp provides food, shelter and safety. If the victim is middle class, he provides love and emotional support. Both stop if the victim balks at the idea of prostituting herself. Then the violence and possibly threats to family members begin. There is little risk to the pimp as the book cites statistics of less than 0.01% of traffickers are caught. Even those caught usually plead their crimes down to misdemeanors with little jail time. The victims are typically criminalized and jailed because it is difficult for police to differentiate between voluntary and forced prostitution especially if the victim doesn’t go to the police as soon as possible. Domestic and agricultural workers are typically brought into the United States under a work visa but sometimes smuggled into the country from third-world countries. They are assessed both transportation and paperwork fees in the thousands of dollars. Their passports, visas and other paperwork are held by the trafficker. The workers are paid less than agreed upon before deciding to leave their home country partly to pay off the cost of their arrival but also because they have little recourse to argue the point. Many domestic workers are paid nothing to be on call 24 hours a day, seven days a week. All have little to no chance to escape their indentured servitude. Solicitation crews victimize young people typically 18-24 years of age. The crews sell the trafficker’s products door-to-door, often for more than 12 hours a day. Not meeting their daily quota results in beatings. The crews are charged for their appalling room and board. The trafficker moves the crew every two weeks from state-to-state to remove the victims’ social network that may allow them to escape. The author, a PHD in criminology with an emphasis in human trafficking, researched websites where human traffickers meet and describe their exploits. There are many fascinating quotes from pimps, other traffickers, victims, and customers. There is even an appendix that defines the terms they use. It is amazing how much hurt can be done in the name of money or sexual pleasure. 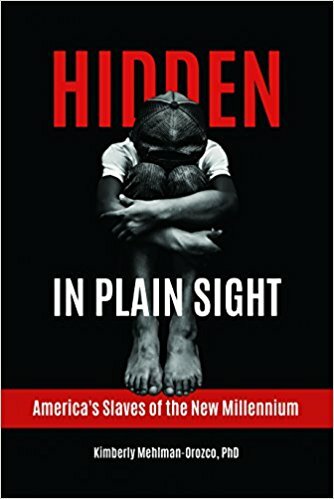 Hidden in Plain Sight is an enlightening read that will open most reader’s eyes to what is just under the surface of their middle class life. As the writer describes, most people have either seen human trafficking victims without even realizing it or used the product of their labor. 4 stars! Thanks to the publisher, Praeger, and netgalley for an advanced review copy.